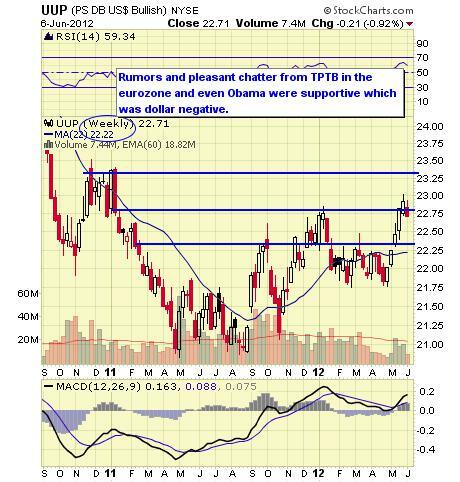 Thursday Thrust – Bernanke Boost Or Bust? Like a rocket that has fired it's stage one boosters, this market is taking off on QE power. At the moment, we have a very dangerous and combustible mix of rumors and minor stimulus – like this morning's 0.25% rate cut by China, which works out to roughly $100Bn in stimulus and is good for 10 points on the S&P. As I mentioned yesterday, it's about $10Bn per point to buy a move on the S&P and it's now a question of what kind of rally the G20 are prepared to pay for this round. This is the first reduction since the depths of 2008's financial crisis, and follows on the heels of China's banking regulator delaying for a year stricter bank capital rules. Beijing has also been seen fast-tracking previously tied-up infrastructure projects. In another easing move, banks will now be allowed to offer loans at a 20% discount from the benchmark rate, whereas before they were allowed just 10%.